On 16 December 2015, the Supreme Court handed down judgment in Société Coopérative de Production SeaFrance SA v The Competition and Markets Authority. As discussed in a previous case preview, the case centred on whether the buyer of assets of another company, then in liquidation, had acquired merely the bare assets of the company or the enterprise itself, thus triggering the jurisdiction of the CMA. Critically, this turned on the interpretation of the Enterprise Act and whether an enterprise can continue despite its ceasing to carry out any relevant activities. The Supreme Court, overturning the Court of Appeal, unanimously held that the embers of an enterprise can indeed survive beyond the extinguishing of its activities: the appropriate test is one of economic continuity. The judgment is an important one, not only as it provided comprehensive guidance as to the purpose and proper construction of the statutory regime, but also in that it addressed the relative roles of the courts and institutions like the CMA, and the extent to which the courts ought to defer to those with specialist expertise. SeaFrance SA was a well-known operator of cross-channel ferry services that went into liquidation in November 2011. In the following year, a significant number of SeaFrance’s assets were bought by Groupe Eurotunnel SE (GET), including its vessels which had been kept in “hot lay-up”, ready for use in the not-so-distant future. An arrangement was also made between GET and SCOP, a cooperative of ex-SeaFrance workers, whereby GET would operate a new ferry service, but SCOP would continue to crew the ships. With this arrangement in place, the ferry service was resumed in August 2012. In September 2014, the CMA determined that this acquisition and the accompanying arrangements constituted a “relevant merger situation”, thereby falling under its jurisdiction. This was on the grounds that, in accordance with the relevant legislation, an “enterprise” had been acquired by GET and SCOP, not merely a bundle of assets from a defunct business. The CMA accordingly ordered that GET could not operate a ferry service from Dover using SeaFrance’s old vessels for 10 years. The Competition Appeal Tribunal upheld the CMA’s decision, but the Court of Appeal thought otherwise. In a majority opinion (Arden LJ dissenting) the court placed particular focus on the fact that all of SeaFrance’s employees had been dismissed, severing any link between them and SeaFrance. This, in the court’s view, conclusively brought all of SeaFrance’s relevant activities to an end. Therefore, to speak of GET acquiring an enterprise was irrational. The Supreme Court unanimously upheld the CMA’s appeal. Delivering the judgment, Lord Sumption sought comprehensively to address the proper function and construction of the relevant statutory regime. He stressed, too, that this was the court’s proper role: although the CMA was possessed of specialist expertise in the area, it was not their exclusive terrain. Their authority and jurisdiction derived from the Enterprise Act, the interpretation of which ultimately fell to the Supreme Court. Turning to the Enterprise Act, s.22(1) states that the CMA must refer arrangements or transactions where “(a) a relevant merger situation has been created; and (b) the creation of that situation has resulted, or may be expected to result, in a substantial lessening of competition within any market or markets in the United Kingdom for goods or services.” Section 35(1) gives further guidance, defining a relevant merger situation as one in which “two or more enterprises have ceased to be distinct enterprises at a time or in circumstances falling within section 24”. Finally, section 129(1) Enterprise Act defines an enterprise as “the activities, or part of activities, of a business”. What, then, is the definition of activities? And must the enterprise continue to carry out these activities up to the point of the transaction? Critically, the statue provided no answer. For the Court of Appeal, no activities, however so defined, were being performed by SeaFrance. So, it was not an enterprise. The Supreme Court, however, disagreed. Under what circumstances, then, does a company acquire an enterprise whose activities are no longer carried on? Here, the court was prepared to accept that a hiatus in activities would be a relevant factor in this equation, but it was by no means fatal. Its relevance “would vary according to is duration, its economic impact, and all the other relevant surrounding circumstances.” Indeed, the Court of Appeal had itself recognised the logic of a seasonal business continuing as an enterprise despite its activities ceasing in the off-season. (2) the extra must be attributable to the fact that the assets were previously employed in combination in the “activities” of the target enterprise. As for the interval between the cessation of trading and the acquisition of the target’s assets, the critical question is whether there is “economic continuity”. Although, of course, the longer the gap, the less likely it will be that an “enterprise” was acquired. Applying this test of economic continuity, the court rejected the Court of Appeal’s view that the CMA had acted irrationally. The facts of the case meant that there was, in the CMA’s view, “considerable continuity and momentum” between the activities carried out by SeaFrance before its liquidation and those carried out by GET. The CMA and later the CAT’s view, which spoke of the “embers of an enterprise” passing to GET, was, in the court’s judgment, “unimpeachable”. 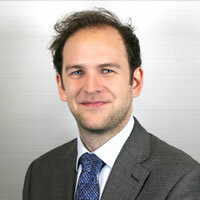 Leave a reply on "Case Comment: Société Coopérative de Production SeaFrance SA v The Competition and Markets Authority  UKSC 75"